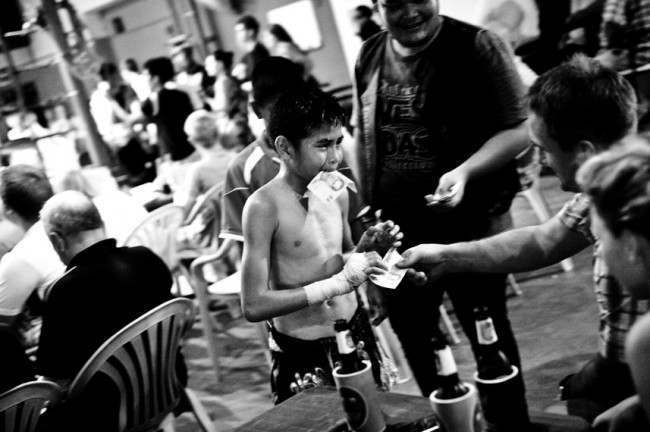 FIGHTING Kids, aka Die Kampfkinder, is Sandra Hoyn’s study of Muay Thai fighters in Thailand. 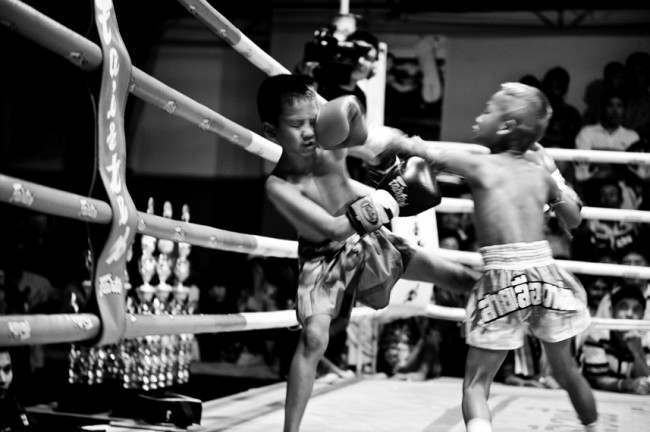 I’ve seen pre-teens fighting in Thailand in the UK. It is brutal. It can be hard to watch, especially as the adults and coaches ringside egg them on. Although Hoyn said many people were shocked by her images of children fighting, she said in Thailand it isn’t really unusual, and it is common to see young children training, often as a way to escape poverty. Although her photographs make it seem like a very rough sport for the children, Hoyn wrote that she didn’t see many of them seriously hurt since they aren’t as powerful as adults. 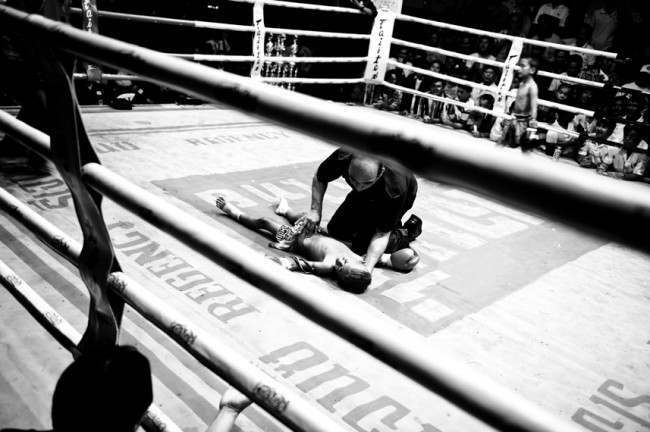 “Few of these children boxers will be rewarded with fame, glory, or money,” Hoyn wrote, noting that although money bets are illegal in Thailand, they don’t seem to be enforced. “The most shocking thing for me was to see the pressure on these children. They are the instrument for the parents to earn money, and they have to win the fight because the parents bet a lot of money on them. A lot of people lose all their money in one night,” she said.